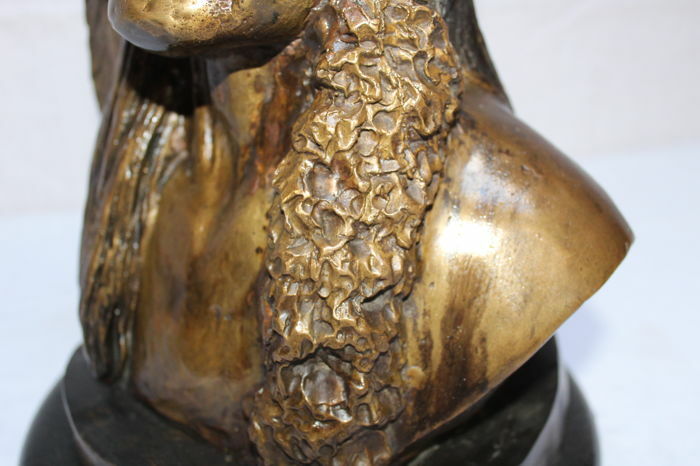 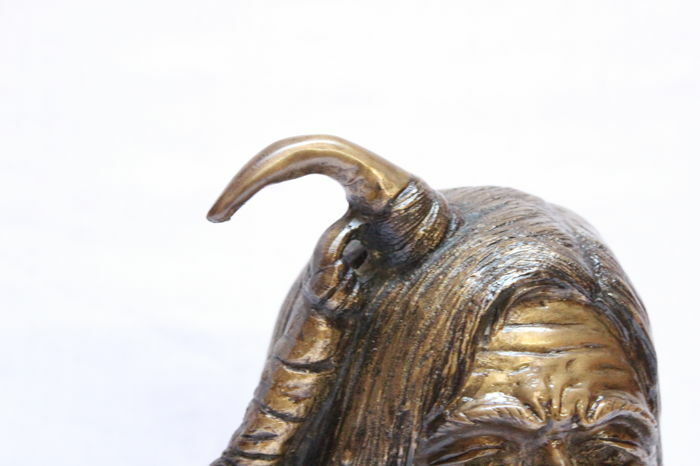 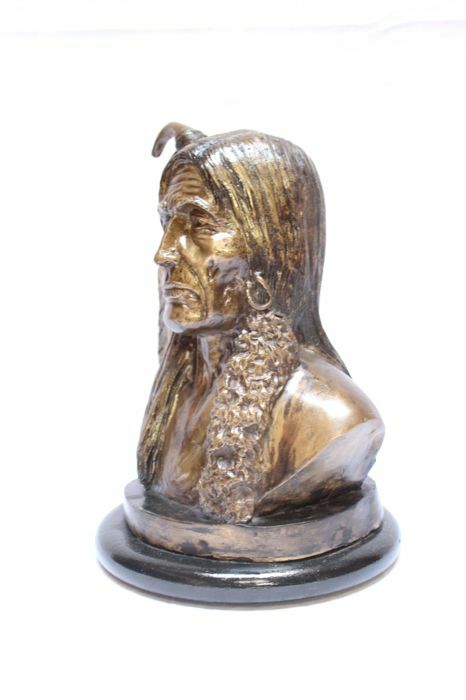 This beautiful and unique bronze sculpture is a casting of an original bust, designed by the American artist Charles Marion (C.M.) 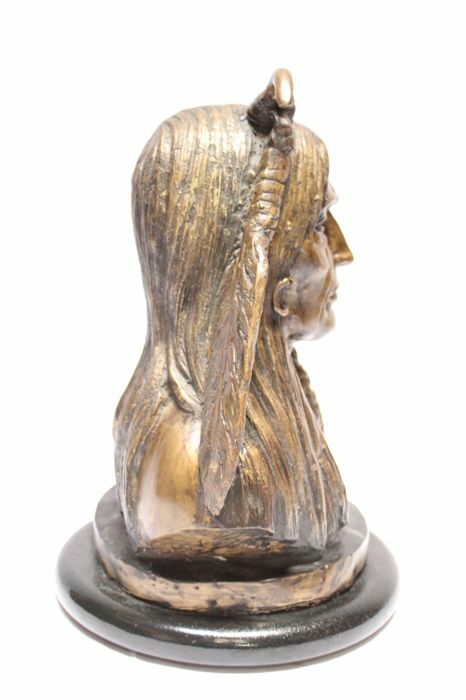 Russell (1864-1926). 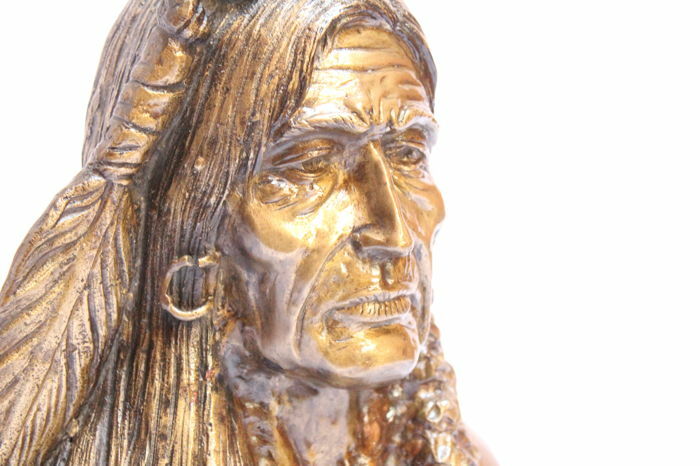 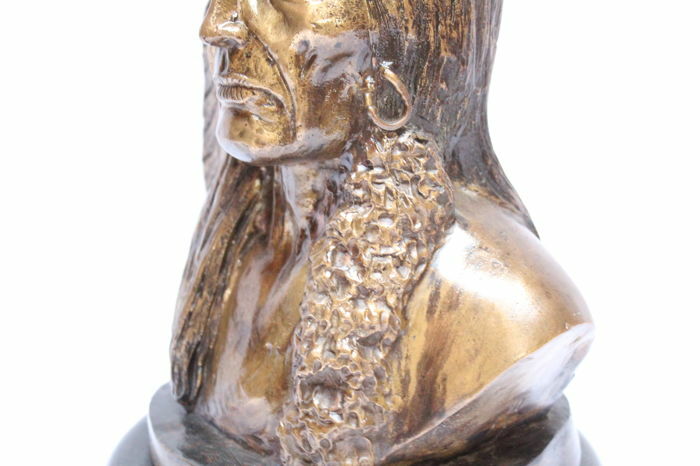 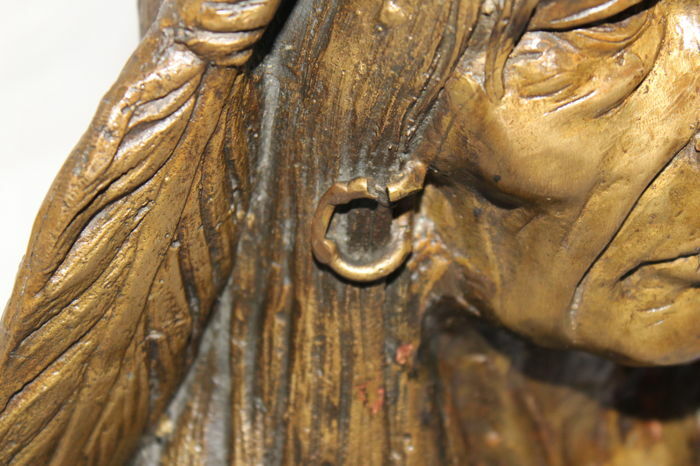 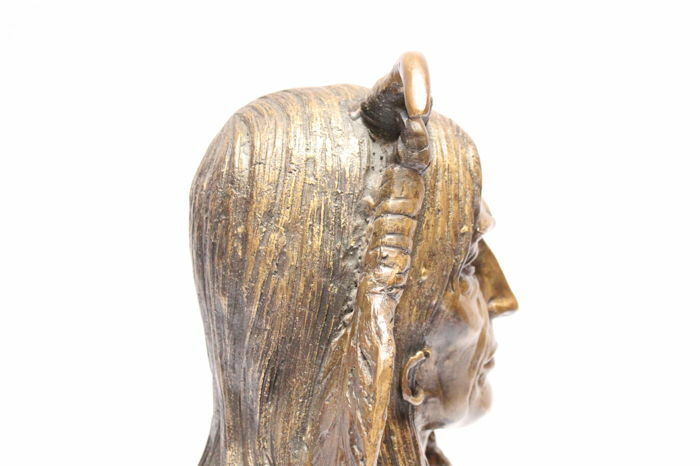 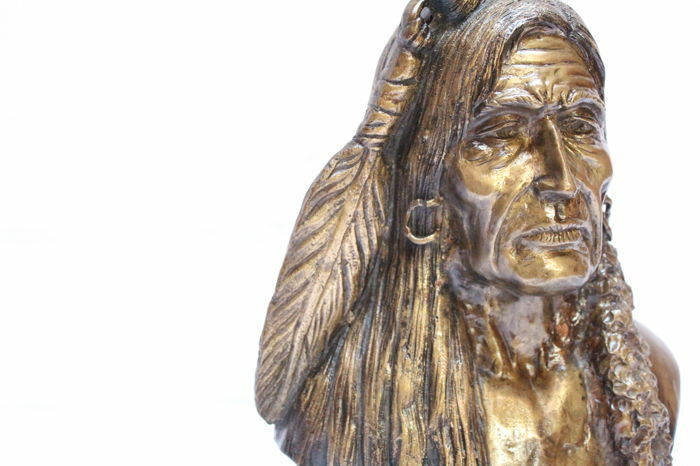 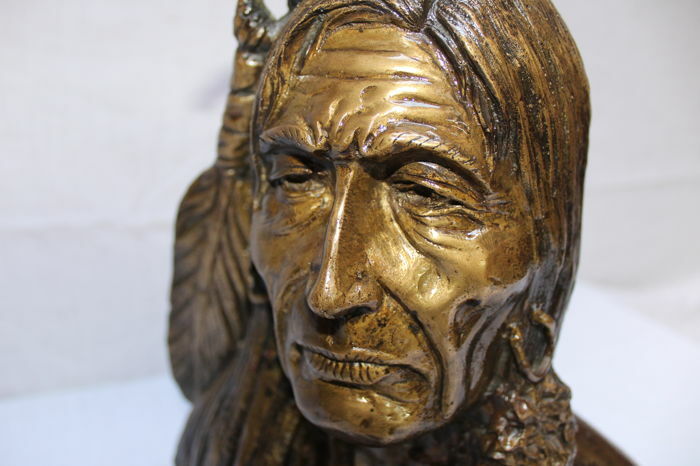 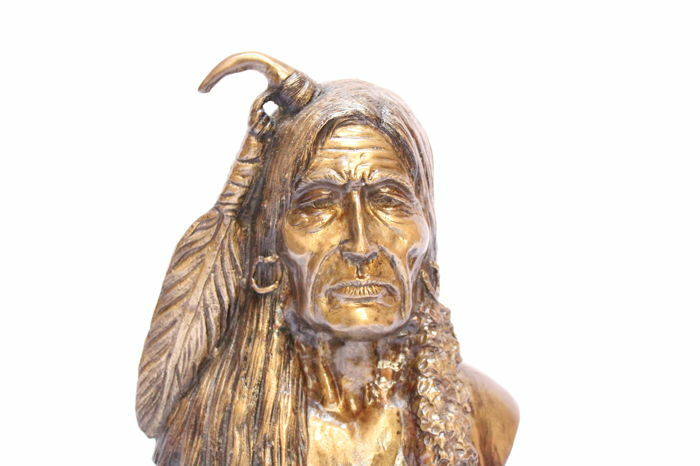 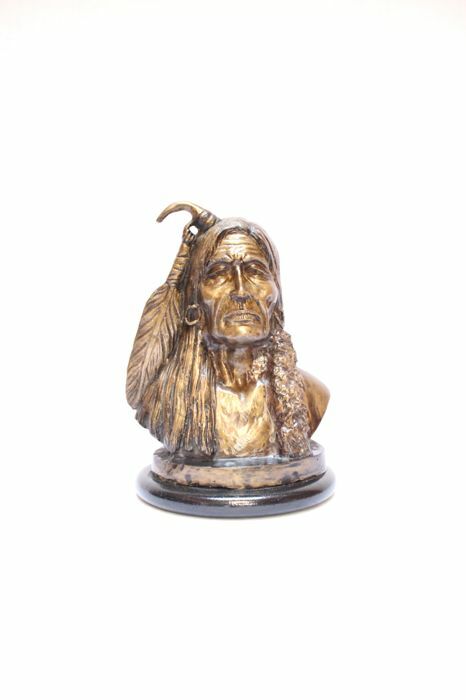 This heavy bronze bust shows the rugged spirit of a "Native American Indian Chief Warrior". 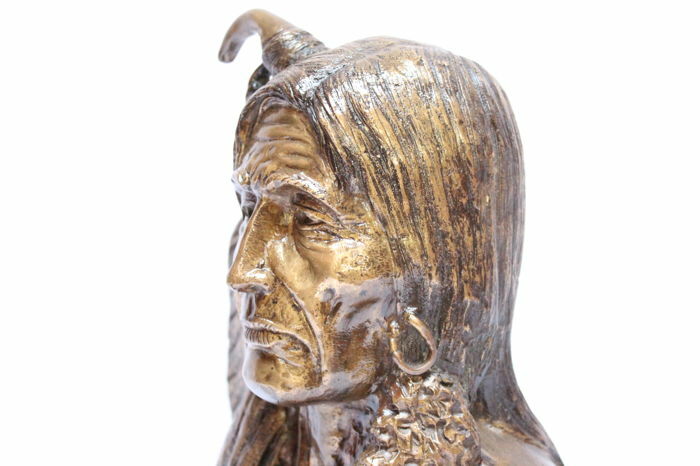 This Indian Chief has a Shaman hairstyle. 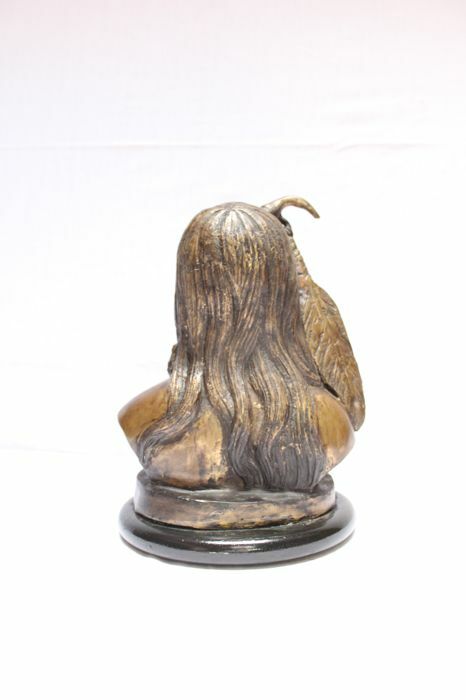 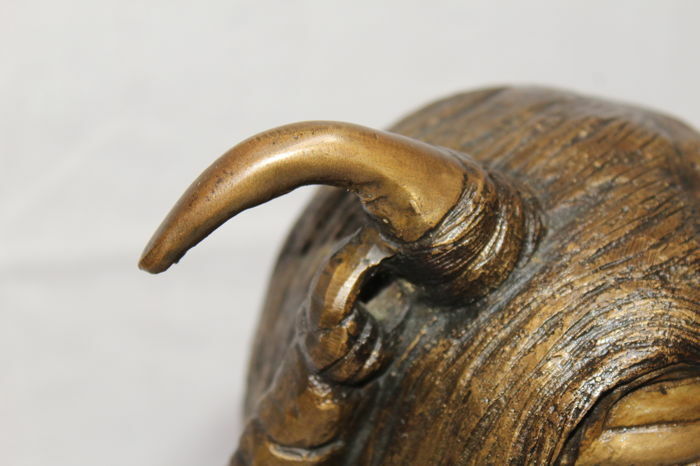 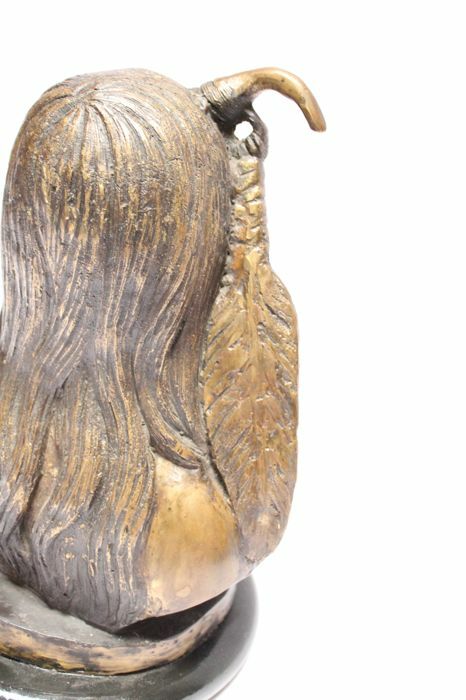 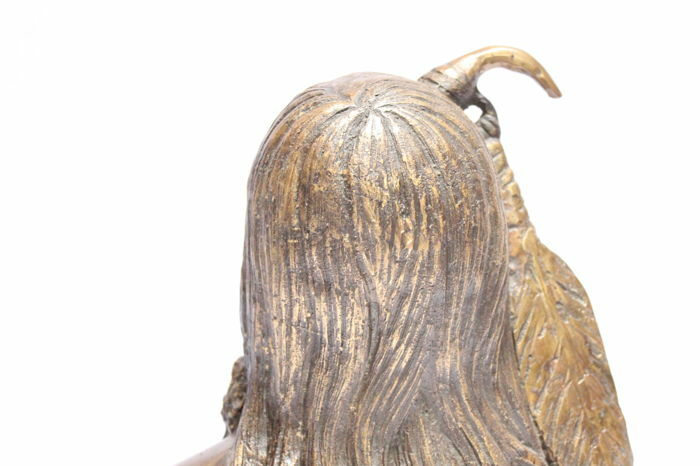 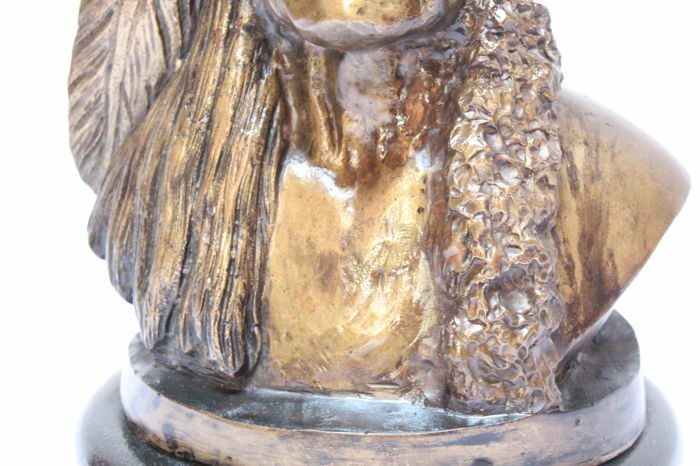 He is very realistic and finely detailed and has the authentic patina in different shades, wooden base. 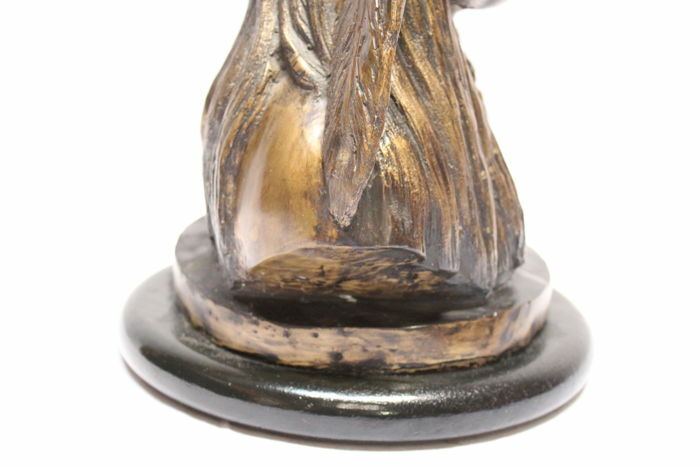 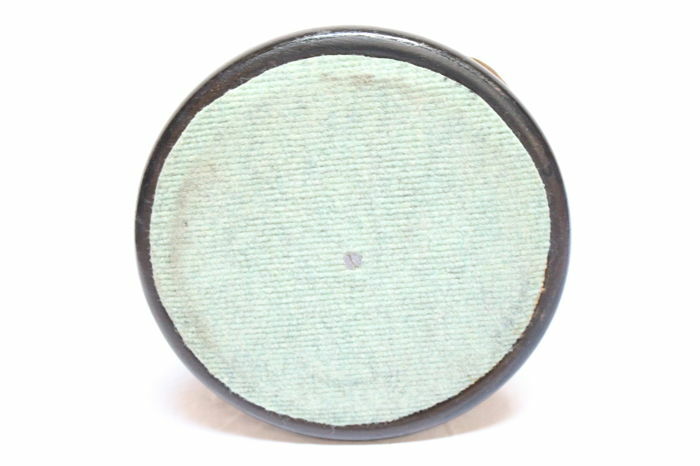 In very good condition, minor scratches. 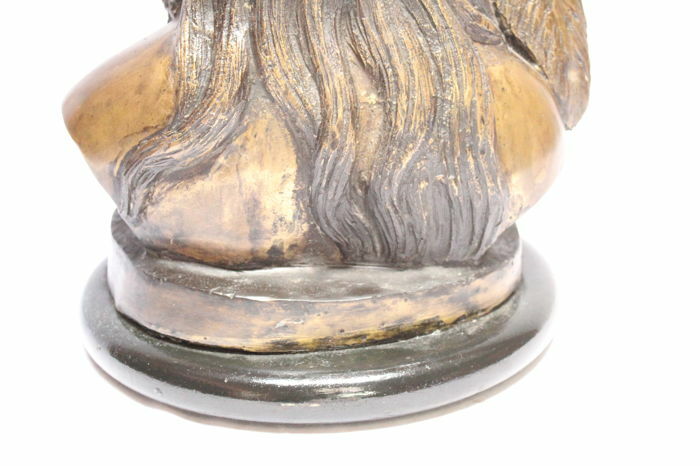 U kunt dit kavel ook ophalen bij de verkoper: Bruxelles (Schaerbeek), België.